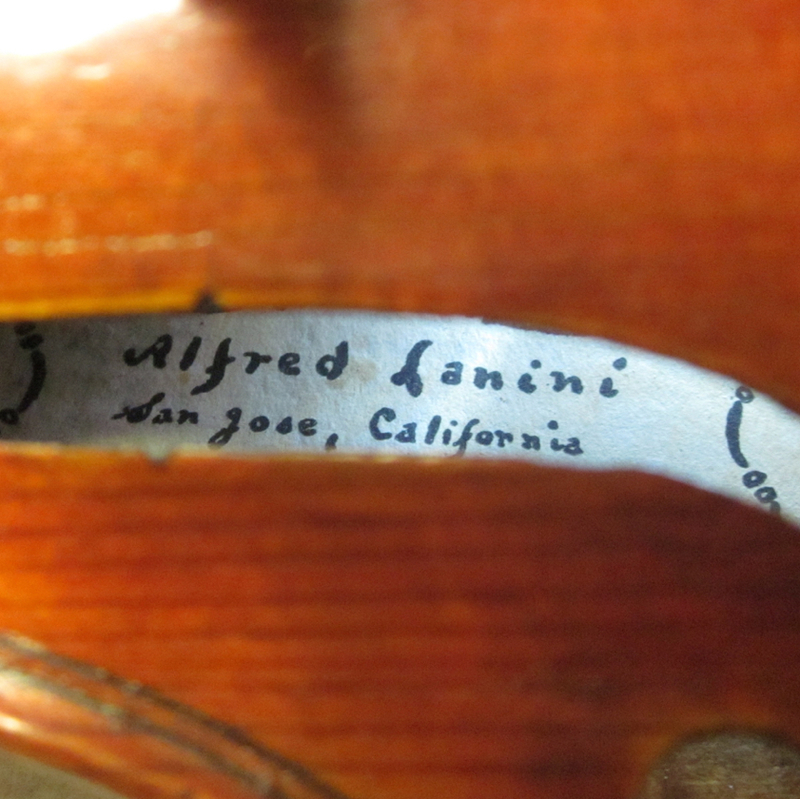 Alfred Lanini was born in California and studied violin making locally before traveling to Milan in 1911 to study with Riccardo Antoniazzi. Upon his teacher's death six months later, he entered the workshop of Celeste Farrotti, where he remained until ...Read More 1914. In 1917, Lanini opened his own shop in San Francisco, before relocating six months later to San Jose, where he worked until his death in 1956. In addition to instruments, Lanini also made bows from around 1927 to 1935, having learned the craft from August Nurnberger-Suess and Auguste Husson. - The auction record for this maker is $26,717 in Oct 2010, for a violin.